The change was precipitated by a post-holiday progress review conducted by Apple design chief Jony Ive, according to a previously reliable source with knowledge of the team's activities. Ive is said to have "expressed his displeasure" with the group's headway. In all, Apple is believed to have more than 1,000 people working on Project Titan at sites both inside and outside of Cupertino. Hiring was so aggressive that Apple's poaching of engineering talent from Tesla is thought to have had a "big impact" on the Elon Musk-led company's ability to keep up with development of future vehicles. The news comes days after a report that Steve Zadesky, a longtime Apple engineering lead who was initially put in charge of Project Titan, would leave the company. It's not immediately clear whether Zadesky's departure —said to be for "personal reasons" —is related to the staffing restrictions. 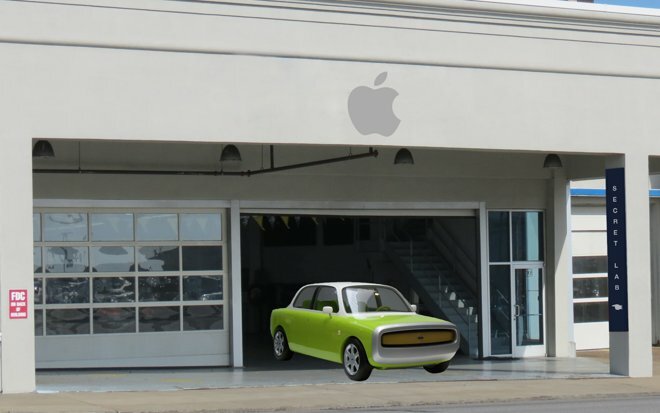 In September, AppleInsider learned that manufacturing issues had forced Apple to consider partnering with an established automaker. The company is thought to have spoken with BMW about a tie-up that could involve using BMW's electric i3 model as a development platform, though the German marque is seemingly reluctant to enter into such an agreement. Apple is said to be particularly interested in BMW thanks to the company's willingness to move beyond traditional approaches to carmaking with the i3.